Mr. Pongsakorn Rungruang, or Nice, a 19-year-old young man who had always dreamt of becoming a “lead actor” in the musical folk drama or Likay since he was young. Yet, he had been taking the role of a “joker” throughout the entire time that he’d helped his family business, in which his family has a “Likay ensemble” as the main occupation. The opportunity to transform himself has now begun! 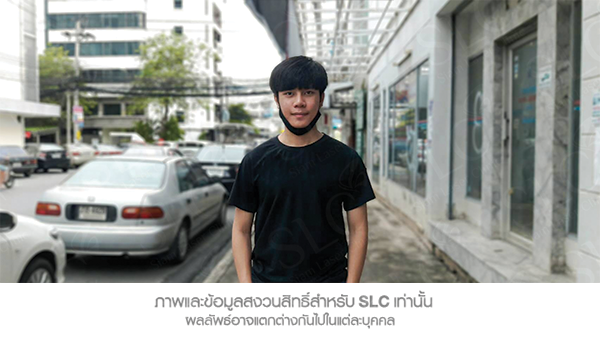 From over 4,000 applicants in the Makeover by SLC Season 4, he is one of those who was given the opportunity to transform himself. How will the course of our makeover surgery transform this heavy-eyed, squared face and rough skin of this young man? We have gathered all of the brilliant techniques that contributed to the transformation of his appearance and image from three years ago and up until now. Two medical techniques for correcting facial proportions and changing the look preliminarily! Mr. Nice originally had a network of fascia in his eyelids by birth, which restricts the eye muscles responsible for eyelid elevation and ultimately results in drooping eyelids. 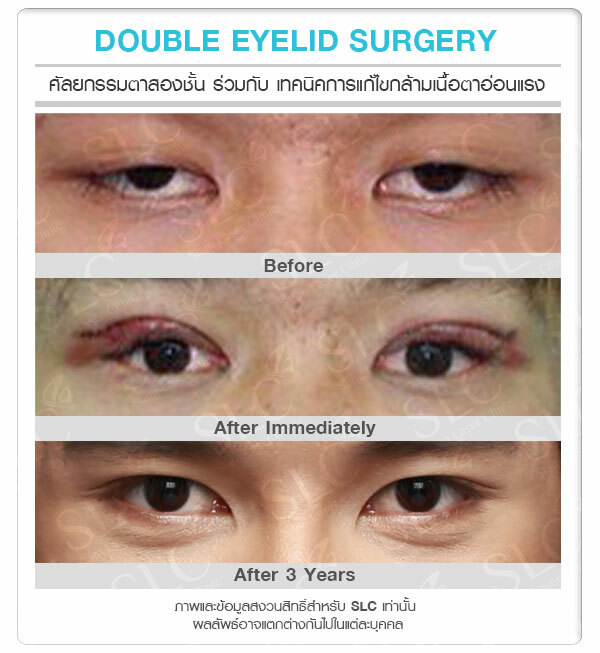 Our specialized surgeon therefore corrected this issue by using muscles from the forehead and eyebrows to elevate the eyes, as well as performing a double eyelid surgery to attain more defined eyes. ◾ Rhinoplasty Surgery through the use of silicone to support the original nose structure for a natural look that embraces men’s facial structure. Subcision – a treatment for acne scars that uses a special hypodermic needle to incise the fibrotic strands, allowing the skin to generate new tissues with cosmetic improvement of the scar. 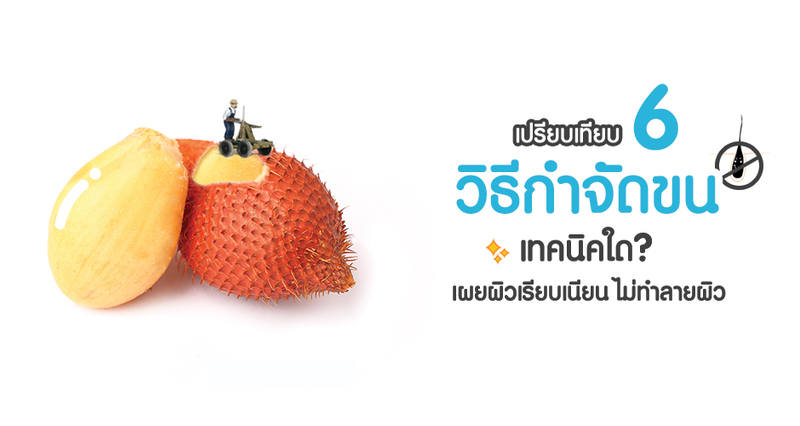 After the surgery, there may be small bruises on the skin that last for approximately one week. Fraxel Restore Laser – a laser treatment for acne scars and rough skin that stimulates the skin to generate new collagen and promotes skin exfoliation, revealing a smooth complexion. Acne Control – a skin treatment for inflammatory acnes and cutaneous scars. 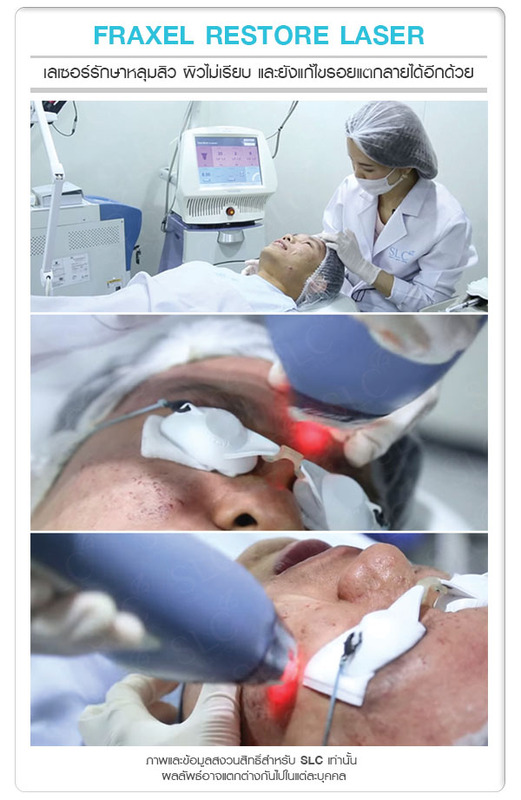 V Beam Laser – the use of laser beam at a wavelength of 595 nm that provides treatment for vascular malformations, as well as relieves the inflammation and redness of acnes. 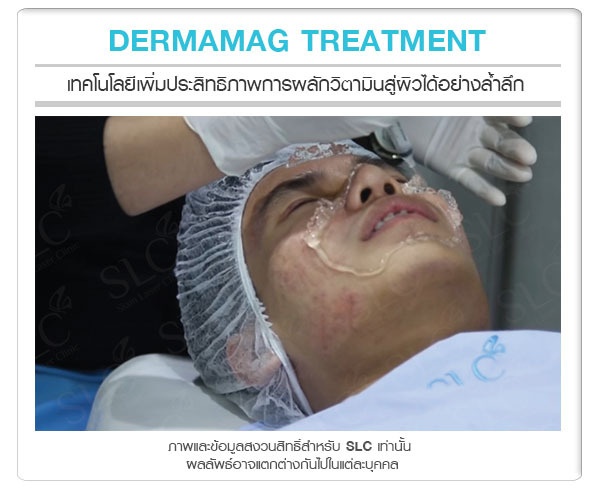 Dermamag – promotes the absorption of vitamins into the skin through dermabrasion, which is comparable to a detoxification that deeply cleanses the skin. 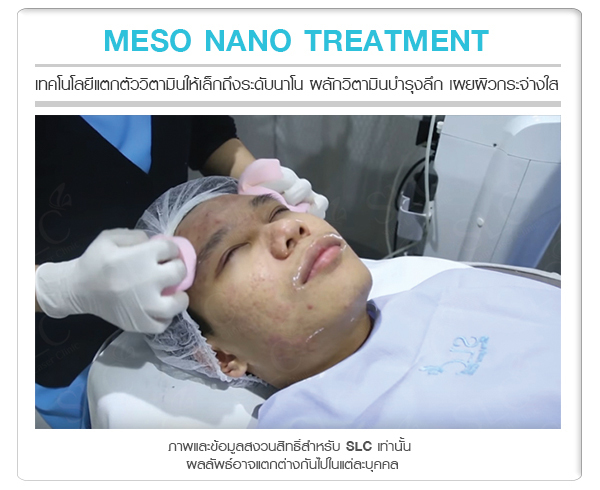 Meso Nano Treatment – one of the latest technologies that breaks down vitamins into nanoparticles, enabling effective delivery of vitamins into the skin on the face and neck. Detox Blink – nourishes the skin internally and rehabilitates the body from post-surgery, giving a fresh feeling with a healthier skin. He also engaged in a healthcare course that includes regular exercise and healthy diet. A Botox injection is a preliminary procedure that is performed to adjust the shape of the face shape and identify changes after the procedure, as well as observing the degree of masseter reduction and predicting changes to the face shape. After that, the medical specialist will contemplate other methods of treatment. Once Mr. Nice’s masseter had gradually reduced, the frame of his face progressively became slimmer. Although his masseter had greatly reduced, the jawbone itself was wide and therefore caused a square-shaped face. Our experienced surgeon proceeded with reshaping his face by correcting the facial bone structure, from contouring the cheekbones and performing a V-line surgery to slim down the shape of his face and reduce the appearance of jaws, as well as lengthening the chin. These three parts were undergone a surgical procedure altogether at once. Thermage 600 Shots for a facelift and slimmer face. 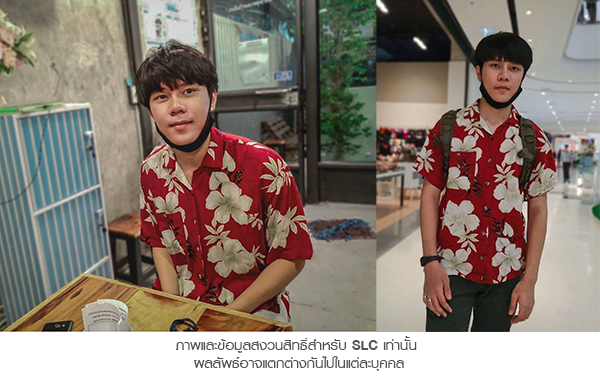 The orthodontist from Cosdent by SLC had analyzed the dental anatomy of Mr. Nice and found that he had crowding teeth as well as an impacted wisdom tooth –the main cause of the misalignment of teeth. 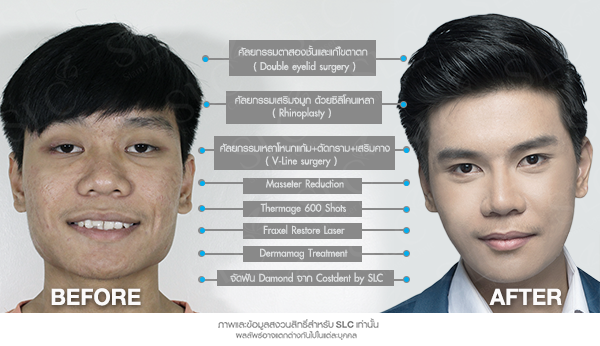 Accordingly, the orthodontist decided that Mr. Nice should undergo an orthodontic treatment using the technology of Damon System to reposition his teeth beautifully. This technology is one of the approach of orthodontics that delivers a faster result than typical orthodontic treatments. Prior to the orthodontic treatment, he had undergone a dental prophylaxis and stain removal with Air Flow technology, as well as periodontal scaling and dental filling for tooth decay. I would like to thank all of those who had underestimated me because their negative remarks and insults were the driving force that gave me the courage to change myself. As for those who would like to change yourself but are lacking the courage, if you merely think but do not take any actions, there will obviously be no result. I believe that everyone can overcome their fear if they have the driving force and the trust in themselves. Are you now surrounded by a lot of girls? Unbelievable that a ‘Thai traditional actor’ became ‘ a good looking designer’ who can feel confident on the fashion runway nowadays. Let’s see how he gradually changed until he achieved his goal.